What should you do when your organization is hit by a cyber attack? And what are the best practices for keeping your assets safe, with the limited time, manpower and resources at your disposal? 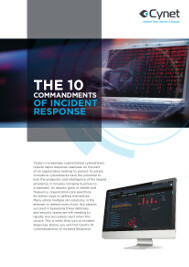 Download Cynet’s '10 Commandments of Incident Response' to learn more.